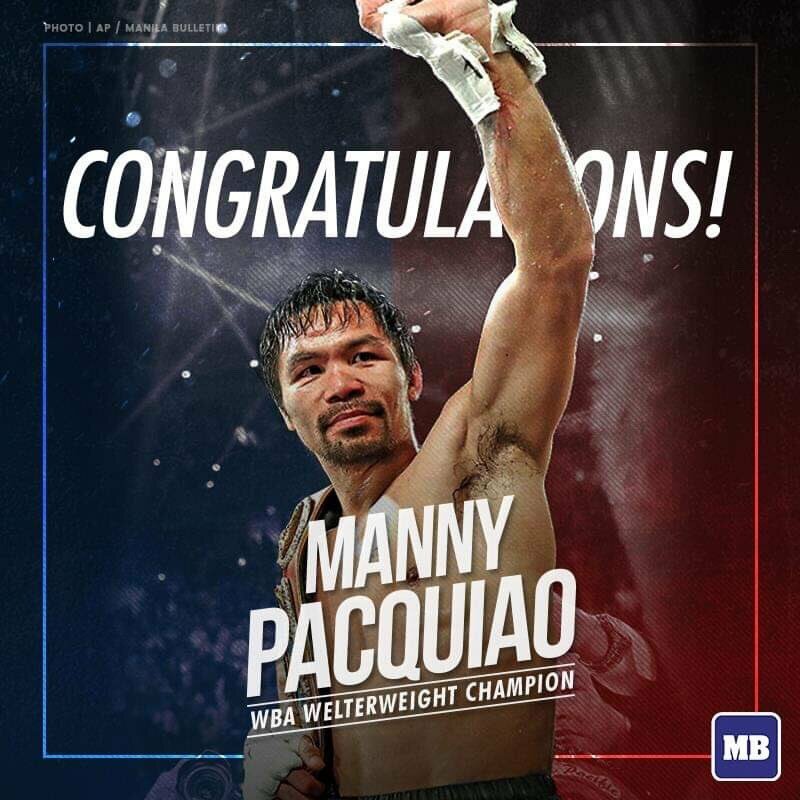 Manila Bulletin News's tweet - "Congratulations to our Pambansang Kamao, Manny “Pacman” Pacquiao! Pacman is still the defending WBA Welterweight Champion! 🥊 #PacBroner "